How much of an influence do rankings have in picking out your school? Psychology graduate schools, like many other educational institutions, are evaluated and eventually ranked regularly. The rankings are done by various organizations and their criteria are not always the same. How much weight should you put on rankings in making the final decision where to get an education? If schools come out topping most rankings, it must mean they are the best, or at least among the best. Of course, there is always the question on the sample population asked, the methodology and the objectivity of the body carrying out the surveys that’s why you can’t blame some people who don’t subscribe to the results. In psychology graduate schools ranking, there are always a set of institutions that end up among the top five or 10 in the list. They are usually big universities that have built their reputation over time. When reviewed to justify their inclusion in the list, the one criteria that they share is the faculty that make up their psychology department. Most respected, awarded, well-known in the field. So does it mean they’ve hogged all the good professors and teachers and left none for the other schools? 1. Stanford University (California) – In many rankings, Stanford has emerged as the top school. It boasts of award-winning faculty and is home of 17 different research laboratories for psychological studies. Its psychology curriculum gives focus on understanding human behavior. Learning is two-pronged: students are part of various research projects; then they are later given the opportunity to develop and design their own. In fact, they have the choice to create personalized curriculum that will focus on a specialized field of study of their particular interest. Although they expect students to complete a doctoral degree in psychology upon admission, they do have a co-terminal masters degree in psychology. 2. Harvard University (Massachusetts) – On their way to completing their doctoral degrees, Harvard students are given the opportunity to participate in revolutionary research programs that enhance their learning. Its faculty is composed of the most prominent and respected in the research community. And almost similar to Stanford, students can elect to pursue various curricula based on their interest. 3. Yale University (Connecticut) – Although it doesn’t quite make it as number one in rankings among psychology graduate schools, Yale is among the top 5 or 10. Their psychology courses cover every aspect of the discipline, from behavioral, science to research methods. Students must successfully complete 12 specialized courses and a senior project to explore any aspect of psychological interest, the latter of which must be done utilizing all the skills and knowledge acquired in the course of their studies. Their faculty is made up of a substantial number of accomplished PhDs in pyschology. 4. University of California Berkeley – Published authors and award-winning researchers make up the faculty of this school. Students will appreciate their focus to explore all aspects of psychology as well as the research opportunities and specialized project opportunities that allow them to immerse in activities related to the field of psychology. 5. University of Michigan – The schools offers an honors program for exceptional students and their curriculum encompasses the vast areas of psychology. Three psychology majors are offered: brain, behavior and cognitive science; psychology and neuroscience, all tailored to fit every student’s career goals and interests. The University of Illinois (Champaign Urbana) also comes out in national rankings. But there are several other psychology graduate schools that have solid reputations but are not necessarily highlighted in these lists. There are the University of Pennsylvania (has the oldest psychology department since 1887) and University of West Georgia, which in its bid to understand psychology from a broader standpoint, offers gives its programs a holistic approach in the study of human behavior. Thre are several psychology graduate schools in Texas, with the University of Texas alone having multiple campuses. But more significantly, there are two schools that are solely dedicated to psychology but hardly figure in these rankings. The University of the Rockies, formerly the Colorado School of Professional Psychology, specializes in psychology degrees and offers graduate programs only. And then there is The Chicago School of Professional Psychology, the oldest and largest graduate university in the country focused exclusively on psychology and related behavioral science. This was established by practicing psychologists. Here, concentration is not strictly on research and theory, but the goal is to prepare students to become excellent practitioners, who help individuals and organizations to thrive. Other schools that offer mostly masters in psychology rarely make it to the list, especially because the trend now is to complete a doctoral degree in this field. Online psychology degrees are also available, including specializations. 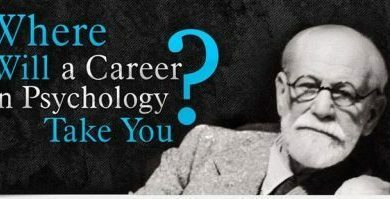 What can you do with a masters in psychology? Still a lot, although if you want to go into private practice, you need to complete a doctorate program. So, will rankings help you make a better decision in choosing from among the many prestigious psychology graduate schools? Here’s a tip: Set your goals first, and look inside yourself before looking at the rankings. Below find more interesting articles about the different programs, schools, rankings and salaries.